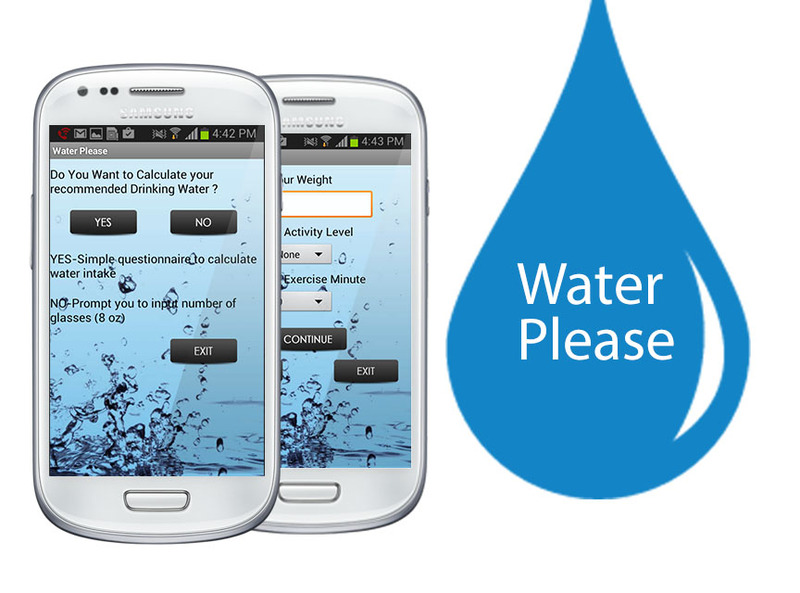 Water Please” is an app that reminds you to drink water and tracks your water drinking habits. Helps to find out how to come out with the physical fitness by giving attention to drinking water.Water has always been an important and life-sustaining drink to humans and is essential to the survival of most other organism. Now its time to calculate !!!!!!!!!!!!!!!!! !